Perhaps you’ve wished that you could somehow make being a stay-at-home parent a full-time job — one that that paid well enough for you to comfortably provide for your family’s financial needs on top of personally taking care of their everyday needs. Or perhaps you’re looking for a way to maintain your family’s lifestyle without needing to work 60 hours or more a week, so you can actually be there to see your kids grow up. I can tell you from personal experience that dreams like these are not uncommon. A growing number of parents today (myself included) want to invest in assets that will generate passive income so that they can become financially free one day. Many of us are motivated to do this by the desire to spend more time with our families, give back to our communities, save for our children’s college tuition and maybe our own retirements while we’re at it. The big question that we need to answer is how can we make these dreams a reality. How can we achieve financial freedom for our families? In this article we’ll discuss this topic at length. 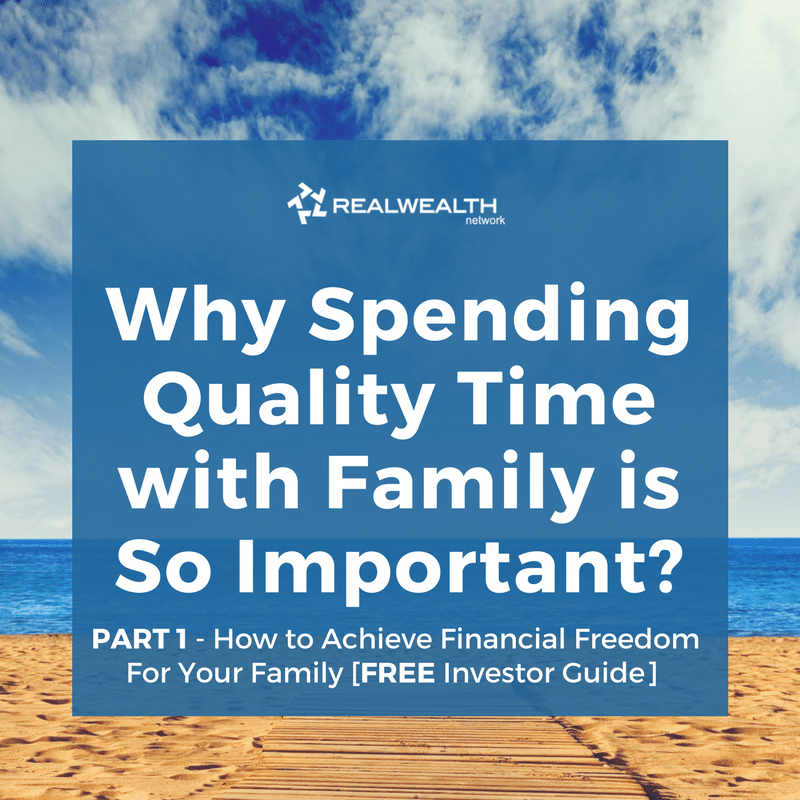 You’ll learn (1) why it’s so important to spend quality time with your children, (2) why so many parents dream of becoming financially independent today, and (3) how investing in real estate — specifically rental properties — is the one of the very best ways to build generational wealth for your family. Hint: it’s all about cash flow. Click the titles to read by section, or scroll to Part 1. 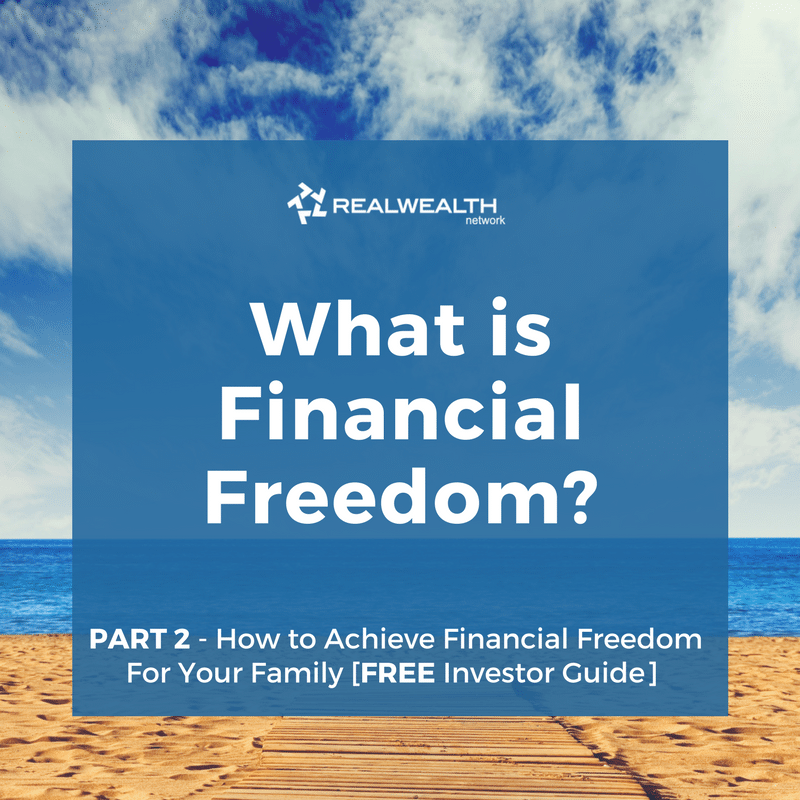 How To Achieve Financial Freedom for Your Family? Invest in Cash Flow Real Estate. Some of my favorite childhood memories are of spending summers with my dad and older brother exploring the outdoors, learning about Mother Nature, and pretending to be a mountain goat jumping from rock to rock in the mountains. We would cram in dad’s small Dodge pick-up and drive for hours over dirt roads to hike a new trail or try a new fishing hole. I learned about clouds and weather, trees and flowers, reptiles and bugs, but most importantly I learned about what it meant to have a parent who was present. As a high school teacher my dad was lucky to have summers free to spend with his two children. Unfortunately, most parents today don’t have the same luxury as my father. With our modern day hectic lifestyles it can often be difficult to find time to spend with our children. A typical day in the life of many parents may start with the morning’s mad dash to get everyone ready for the day and out the door to daycare, school, or work, followed by a similar mad dash to get the children to basketball or dance practice after school (if you can leave work before 3pm – how many people can do that?!). After a full day…leads into a rushed take-out dinner eaten just in time to get ready for bed and tuck everyone in for the night. 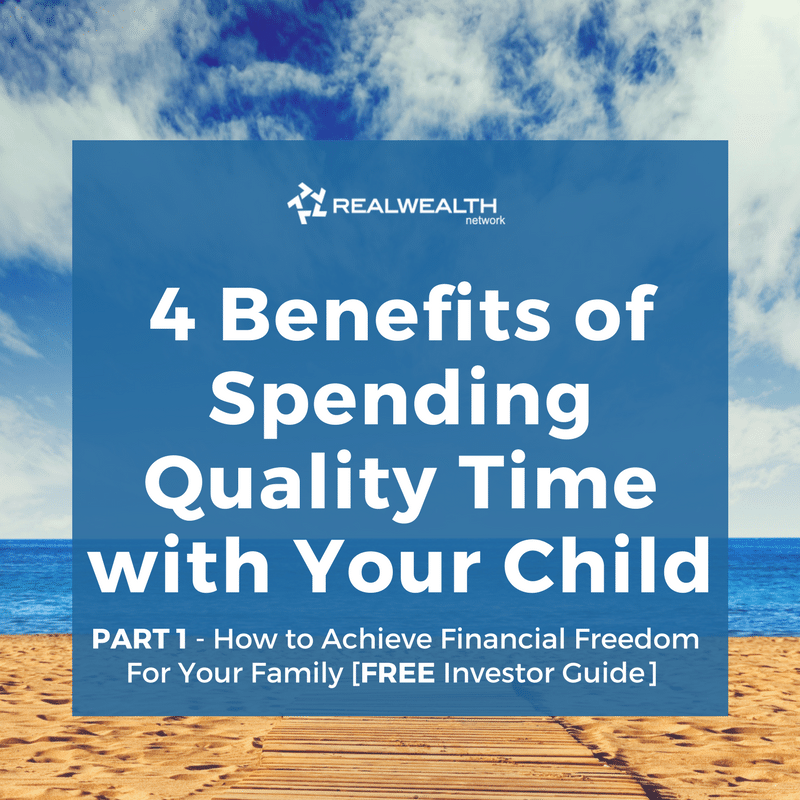 The point is: whether you work full-time or not, it’s extremely important to emphasize spending quality time with your children. Here are some of the benefits. 1 – Children who have positive interactions with their parents are more likely to grow and develop into competent adults and become good parents themselves. In fact, countless studies have found that even simple interactions such as reading together, eating together, or simply having a one-on-one conversation, provide positive outcomes for children. 3 – Children who spend quality time with their parents have higher self-esteem. Parents can help their children build self-esteem by interacting with them in simple, positive activities. Take a walk around the block with your daughter, throw a baseball with your son, read your favorite book or watch your favorite movie as a family. Just take time to be together and enjoy one another’s company. By engaging in these activities your children will feel valued and loved, which will help them have a more positive view of themselves. 4 – Families who emphasize spending time together form stronger emotional ties that help children adapt better to stressful situations. One long term effect of spending quality time together as a family is that children with happy family memories are more likely to create the same type of loving environment with happy memories for their own children. While it’s possible to provide the same benefits to your children while working full time, it’s a lot more difficult! This is why so many working parents struggle with feelings of guilt about how much time they spend (or don’t) with their kids. As mentioned briefly above, many families don’t have any choice – they can’t be there more because they have to work, and there are only so many hours in a day. The only solution for families in this situation is to focus on spending more quality time with your children. But what if you didn’t need two “traditional” incomes to feel financially secure? What if you could generate enough passive income every month that you could replace your income, and truly be there for your children? According to a recent Pew Research Study, the share of two-parent households where both adults work full time is 46% in the United States today. On the flip side, only 26% of households fit the traditional parental work model, in which the father works full time and the mother stays at home. The study also found that, while households with two full-time working parents are more financially secure than those with only one parent working full-time, these families also suffer from “trickier family dynamics.” In fact, about 56% of working parents say it’s difficult to balance family and work, 47% believe they don’t spend enough time with their kids, and 84% say they feel rushed at least some of the time. have a higher standard of living and feel more financially secure. have a better self-esteem because you feel like you are contributing to your family’s health and wellbeing. overwhelmed with too much work and not enough time. like you are missing out on family life/ seeing your children grow up. that you’re not there for your kids or your partner. resentful of how much you have to do around the house on your days off. too tired or busy to enjoy spending time with your family and friends. Again, what if you could still enjoy all of these benefits of working without the negatives? What if you could invest in something that would generate enough cash flow that you could quit your job, and spend more time with your family? What if you could become financially free? What is Financial Freedom Exactly? Generally speaking, financial freedom means having enough wealth or passive income to live life on your own terms. That said, becoming financially free will mean something different to everyone. 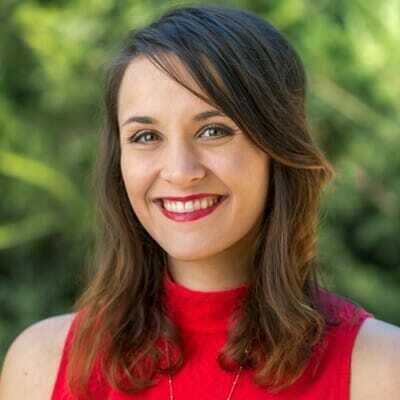 Quit your job to spend more time with your young children and growing family. Work less and still be able to give back to the community and be there for your children and spouse. Take back control of your financial future, generate cash flow to retire wealthy, and also pay for your kids’ college tuition. 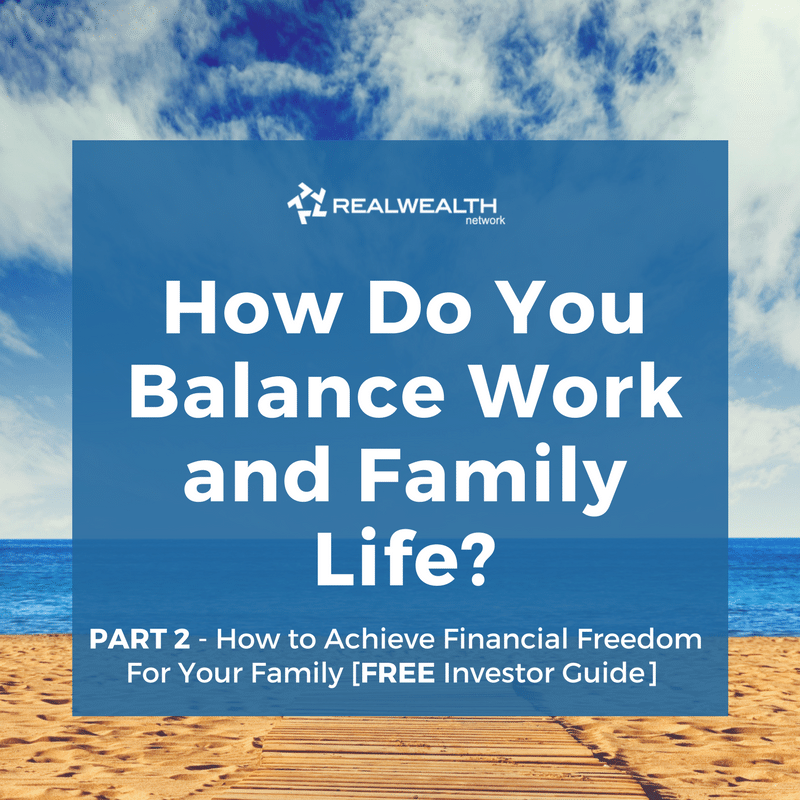 Get out of the rat race and build a strategy to create generational wealth for your family. Create a stable income stream that will allow you to pursue entrepreneurial endeavors without subjecting your family to financial hardship. Own enough cash flowing real estate to support your family and travel anywhere that you want to go, whenever you want. Become 100% debt free and have a monthly cash flow of at least $10,000. Spend more time with family and friends, travel the world, and have some free time to volunteer in organizations that make the world a better place. Make sure you have a solid income stream to ride out any recessions that happen in the next 3-5 years. 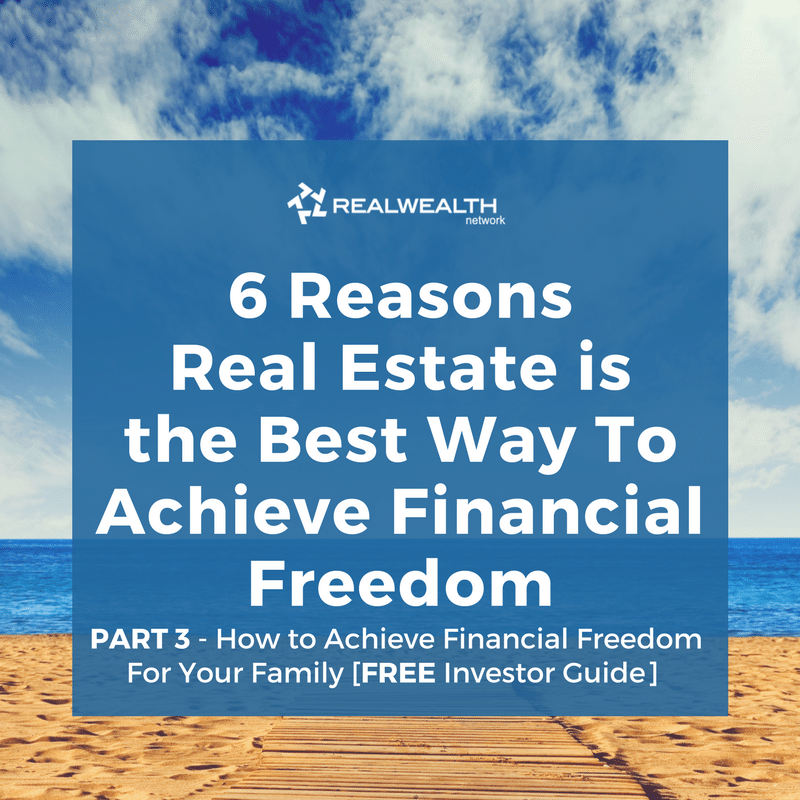 Perhaps you have a different reason for wanting to become financially free – that’s okay! Whatever your motivation is, know this: achieving financial independence is completely possible. 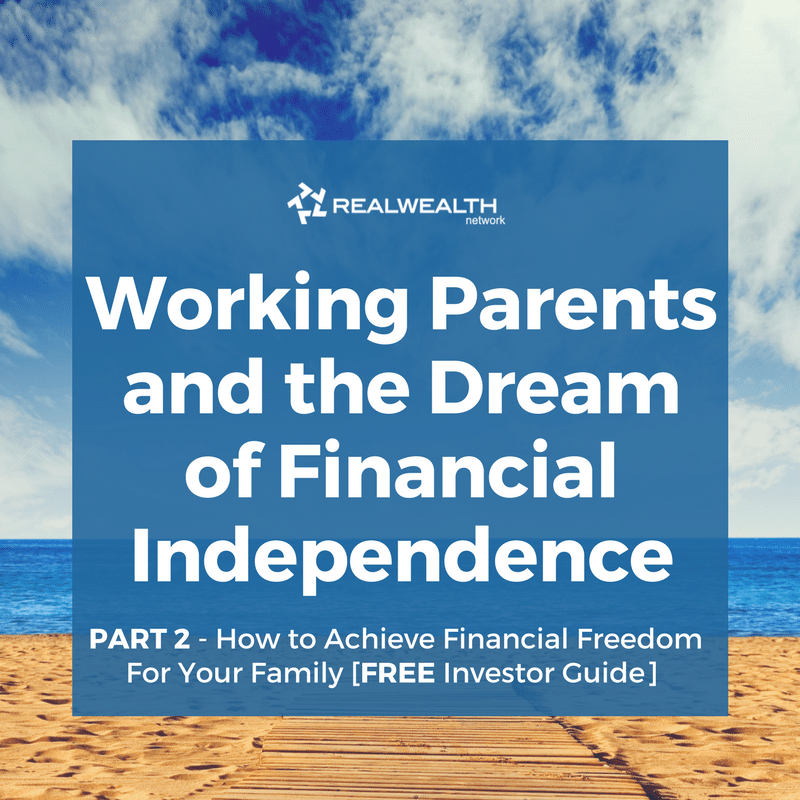 How To Achieve Financial Freedom for Your Family? – Invest in Cash Flow Real Estate. 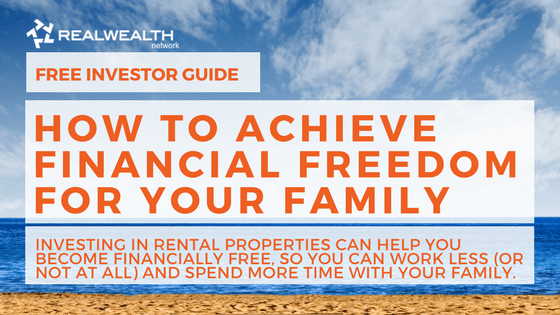 The key to achieving financial freedom for your family is to invest in income producing assets, like rental properties, that’ll generate positive cash flow every month. 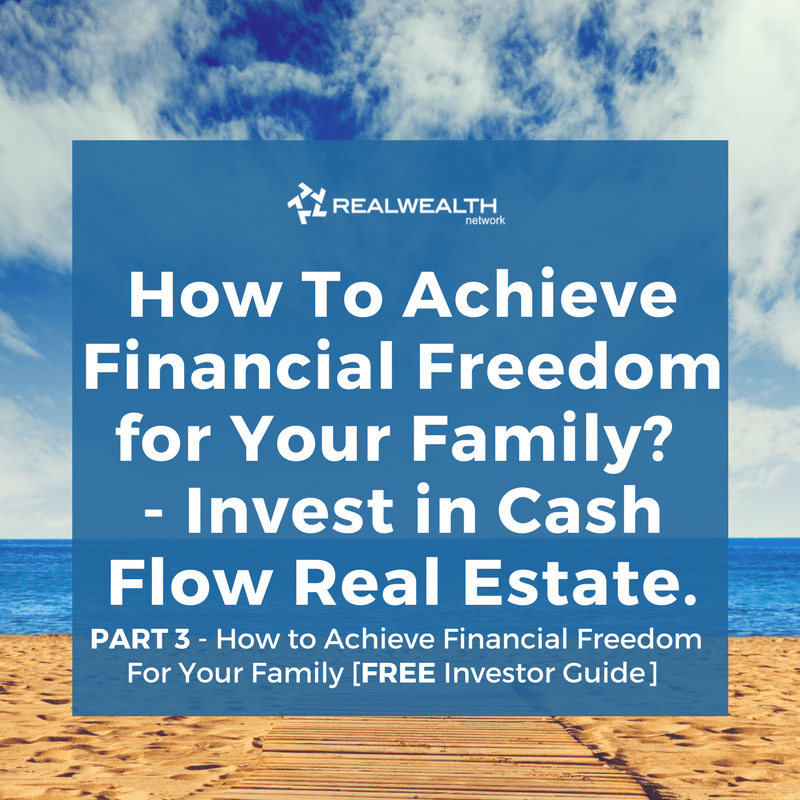 This is the best way to create real wealth, as we like to call it, because it can help you create both the money AND the freedom to live life on your own terms. Real estate investments are also especially appealing for parents, because property is a more secure investment than the stock market, for example. Why? Because property is tangible. People always have and always will need a place to live. This means it is very unlikely that our need for buying and renting homes will ever go away. Inflation causes the price of goods and services to rise over time. This includes food, rent, wages, real estate prices, stocks, etc. The only things that do not increase in value, as a result of inflation, are cash and bonds. In other words, cash actually holds less value over time, making it a poor choice for long-term savings. The one asset that is almost always guaranteed to increase in value with inflation is — you guessed it — real estate. The cost of real estate fluctuates in response to inflation because (as mentioned above) people always need a place to live. As a result, real estate prices must stay aligned with average wages, taxes, and expenses so that residents can actually afford to buy homes. This is a good thing for investors, because as long as you invest in the right markets, at the right time, your real estate investment should increase in value along with inflation, at a rate of about 2% per year. If you purchase a $100,000 rental home in a strong market, at the right time, you could make as much as $1000 per month in gross rents. After property taxes, insurance, and management fees are paid, you should be netting about $700 per month. This is money you can put directly into your pocket as immediate profit. Let’s say you also increased the value of the property by fixing it up – you would have access that equity without having to pay capital gains tax. Instead of selling, you could access the profits by doing a cash-out refinance. Depending on the terms, you might be able to get all your cash back out of the property and still have all your expenses covered by the rental income. Any returns you get from the property once you have your capital back is just free money. The return then becomes infinite. Once you sell a house, it’s over. You will never make any more money off of it. But a property you hold onto will continue to make you money every year, and at the same time the value of the property will appreciate. The best part, as mentioned above, is that you don’t even need to sell the home to free up money for another investment. This is where the saying “Refi til you die” comes from! A lot of people think they can’t buy real estate until they’re already rich. This is false. It is definitely easier to pay cash, but your returns are much higher if you borrow money. A fixed-rate loan is simply a loan that has a fixed rate for the life of the loan. This means that the amount of your loan payment will never change. In other words, if your current loan payment is $500 per month, it will still be $500 per month 10 years from now. In the U.S. we’ve become so accustomed to this type of loan (ie: the 30-year fixed rate mortgage), that we take it for granted. And we shouldn’t. Why? Think about it. If you were lending money, would you lend it to someone for 30 years for the same monthly payment KNOWING inflation will eat up it’s value? Leverage is one of the greatest advantages used by real estate investors. Investopedia defines leverage as: “the use of various financial instruments or borrowed capital, such as margin, to increase the potential return of an investment.” This is an important concept to understand, because it can help you achieve a much higher return on your property. Did you know that owning rental property can give you tax advantages? That’s right. You can deduct almost all expenses incurred as part of your cost of doing business, and you can also deduct things like depreciation, property taxes, repairs, maintenance, and more. All this can add up to a lot of free money at the end of the year. There are only 940 weekends between the year your child is born and the year they leave for college. This may seem like a lot of weekends, but it’s really not. To put it in perspective, if your child is five years old you’ve already used 260 weekends. How many have you already used up? A better question for working parents: how many have you made the most of? When you work full-time it’s difficult enough to make it home for dinner every night – it’s sometimes even more difficult to be truly present when you do. Sure, you may sit at the table with your family, but are you really listening? Be honest. After hours of commuting, stressful meetings and not nearly enough sleep … are you really there? Or are you just going through the motions? Are you actively listening or is your mind wandering to tomorrow’s staff meeting? Balancing work and family is possible, but it isn’t easy! If you’re committed, both you and your spouse can work full-time and still raise healthy and happy children. The question you have to answer is whether you want to keep making a lot of money from a job, or if you’d rather start investing in rental properties that generate cash flow every month, so you can provide for your family financially and also work less (or maybe not at all)! Ready to invest in properties? Join Real Wealth Network for FREE.